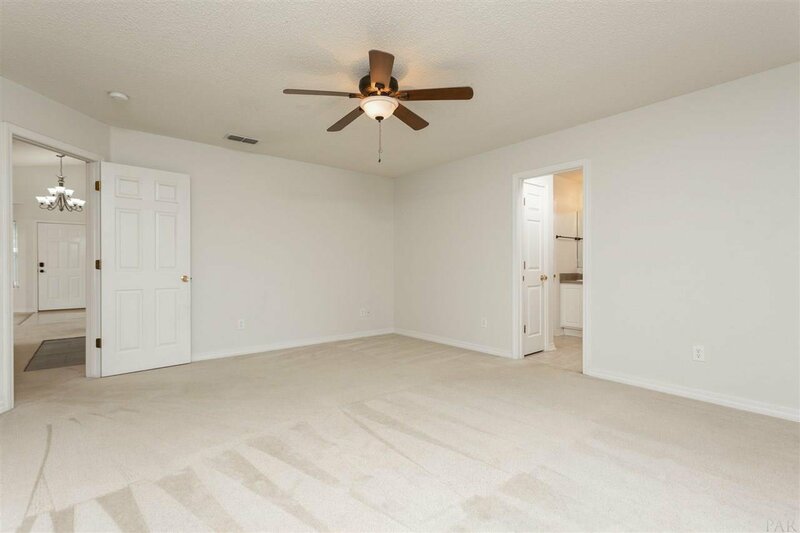 Open floor-plan home in a quiet neighborhood. 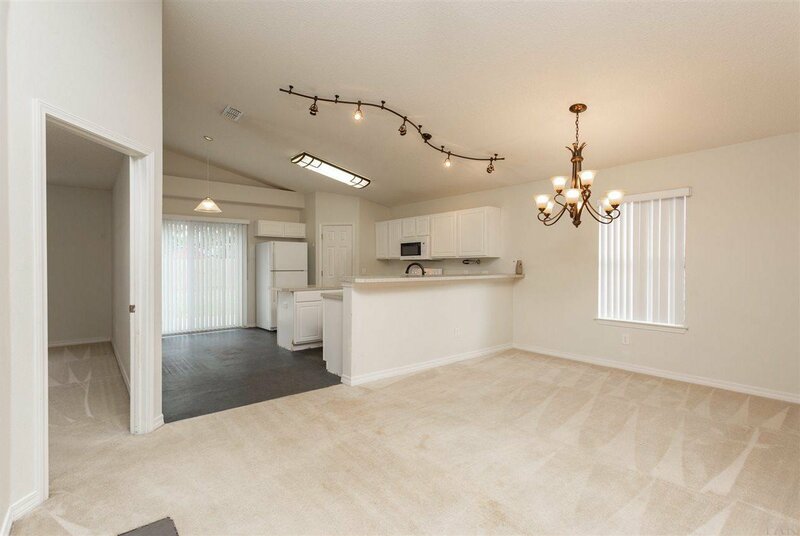 This cute property offers a large living space that flows right into the dining room and eat-in kitchen. 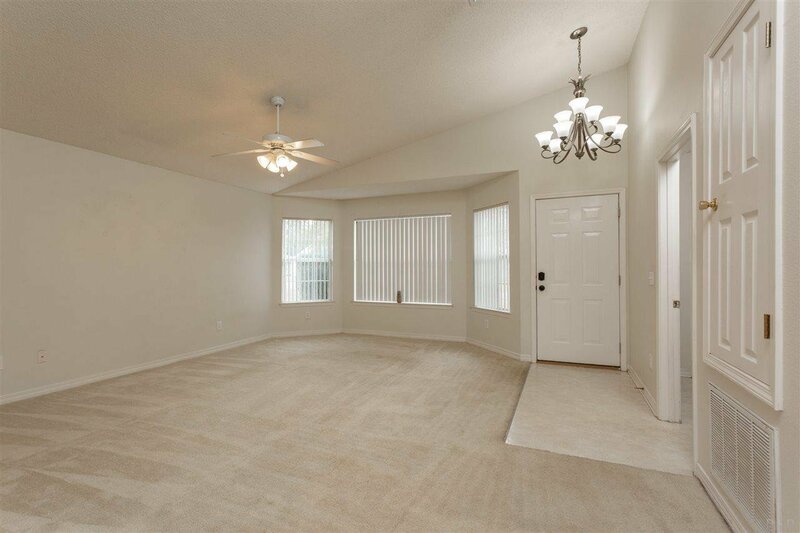 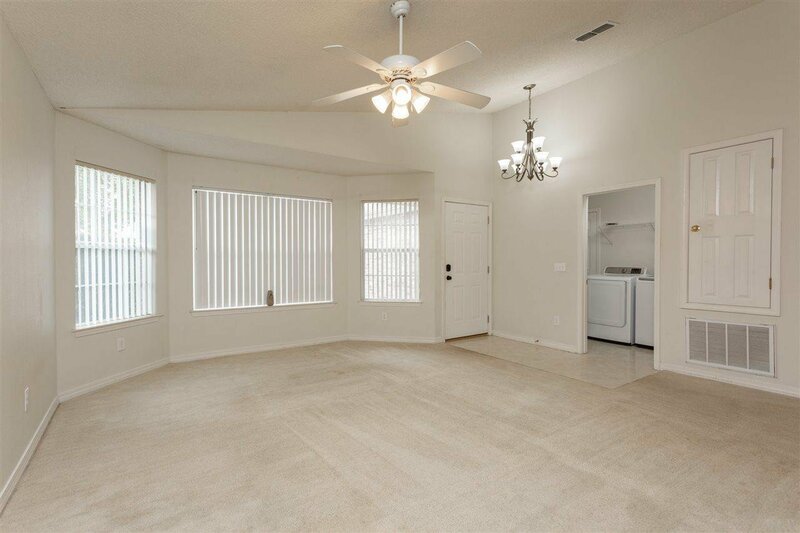 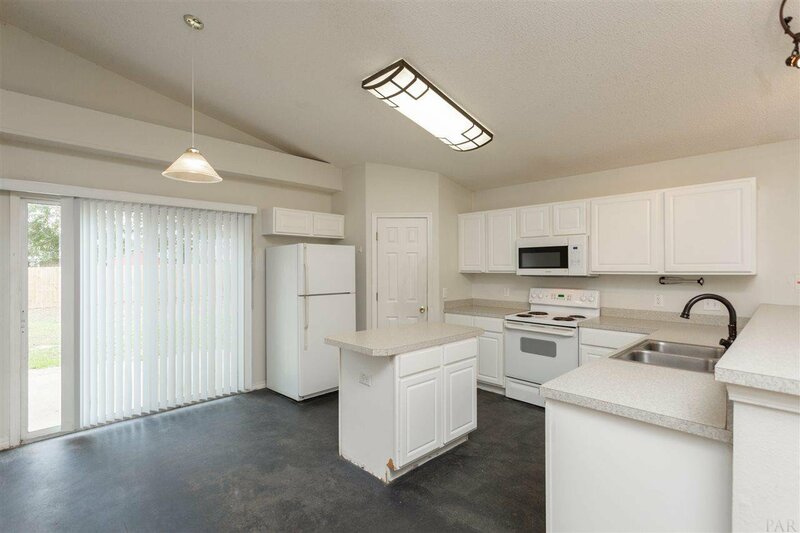 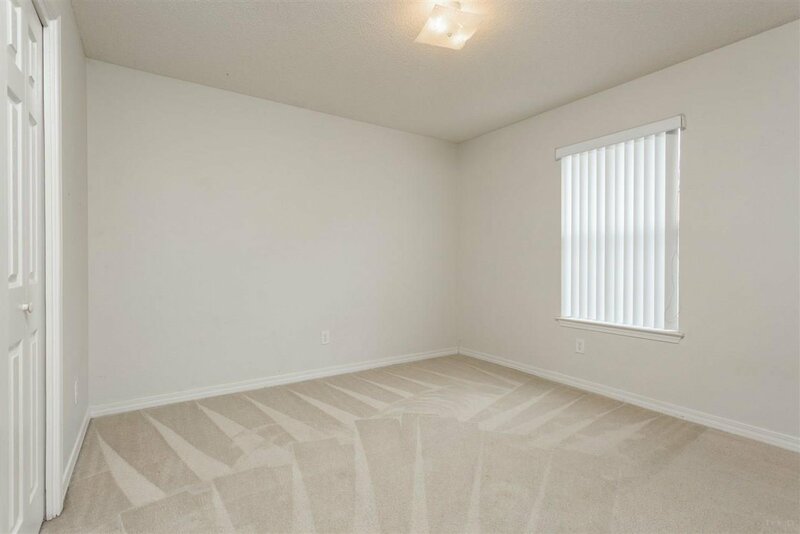 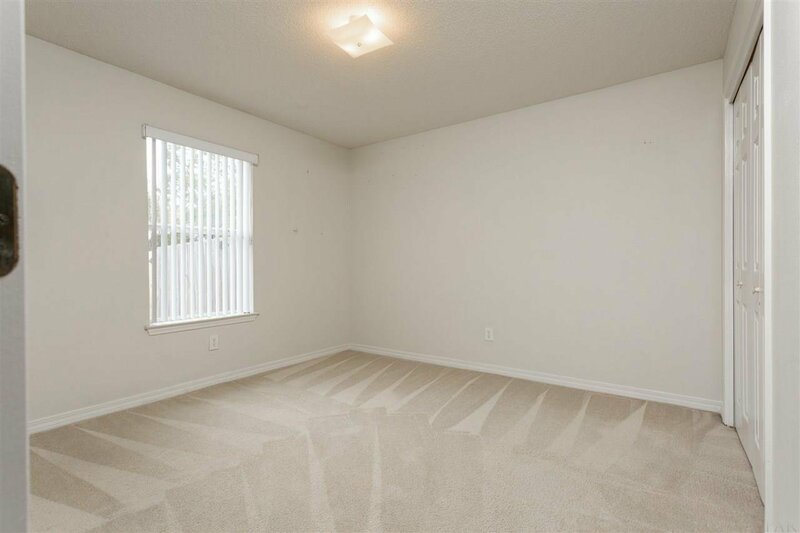 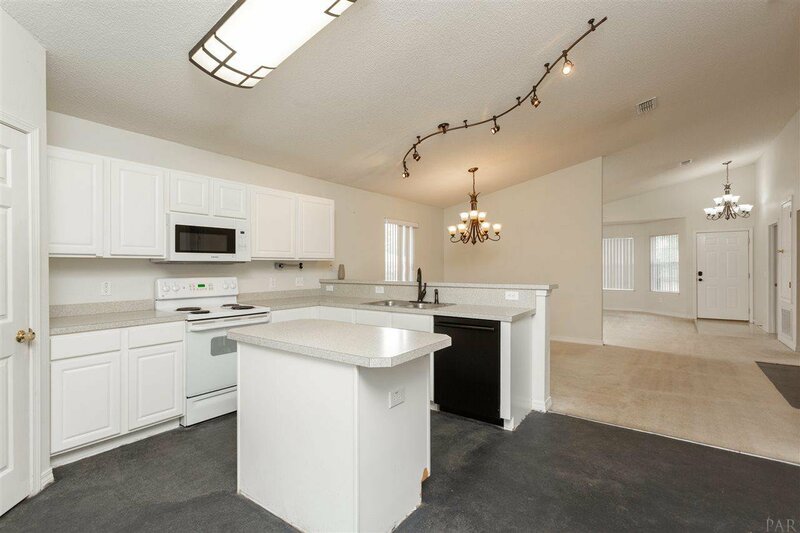 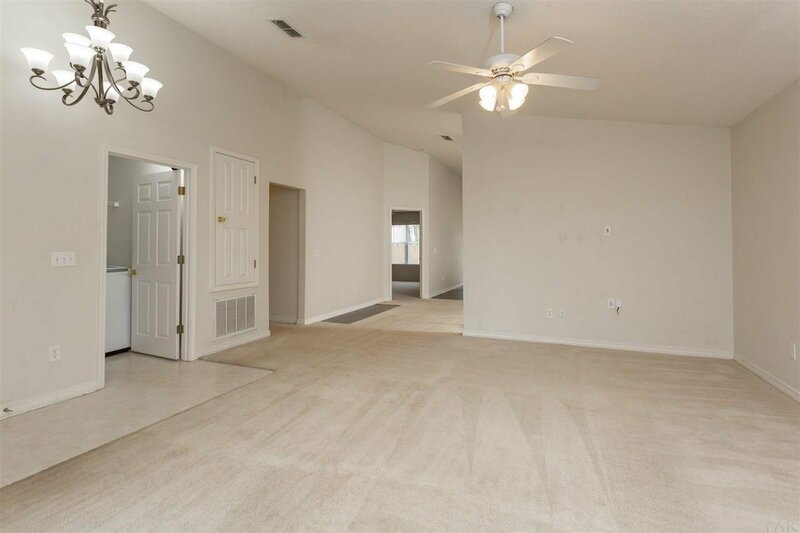 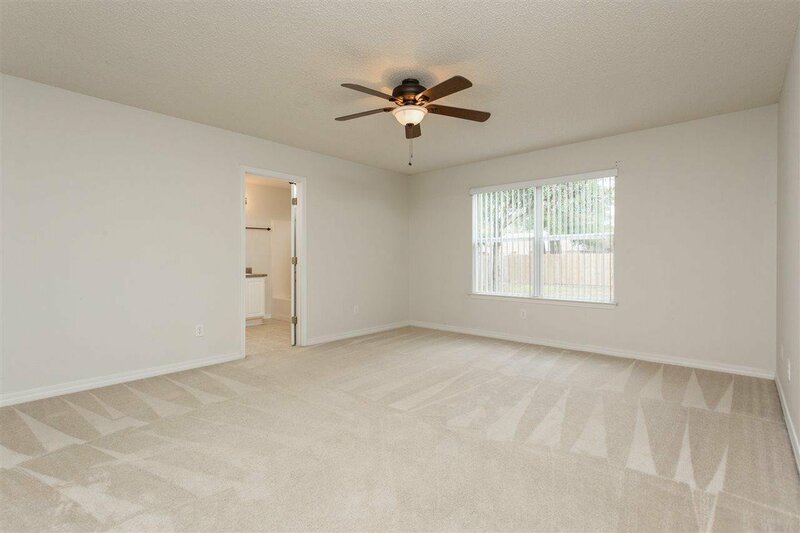 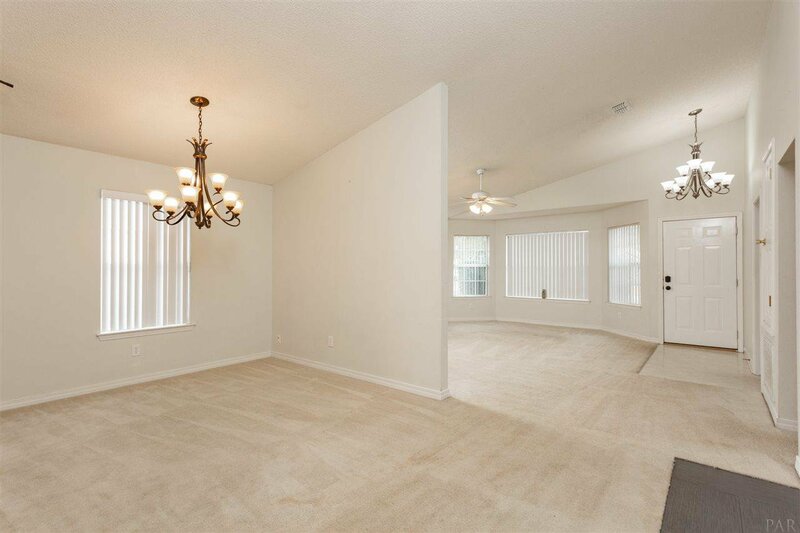 There are vaulted ceilings throughout making the main areas feel bright and spacious. 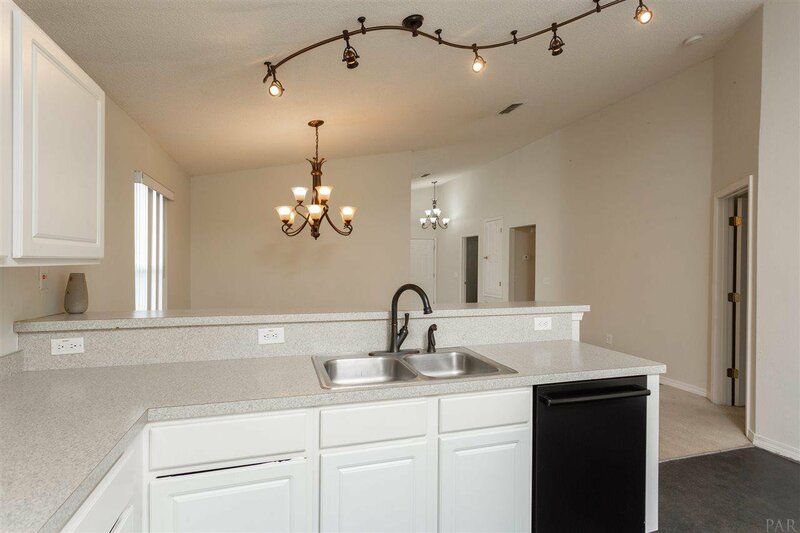 The roomy eat-in kitchen features a corner pantry, a long breakfast bar for casual dining, and an island for additional prep space. 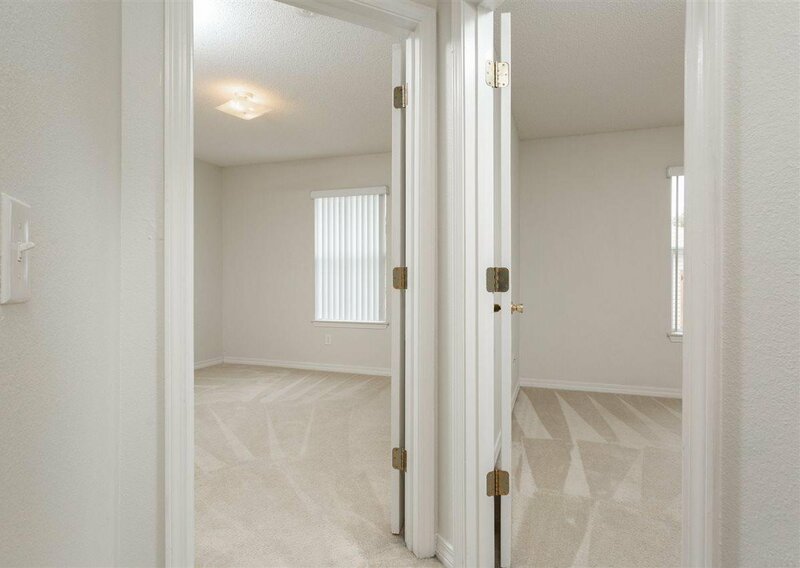 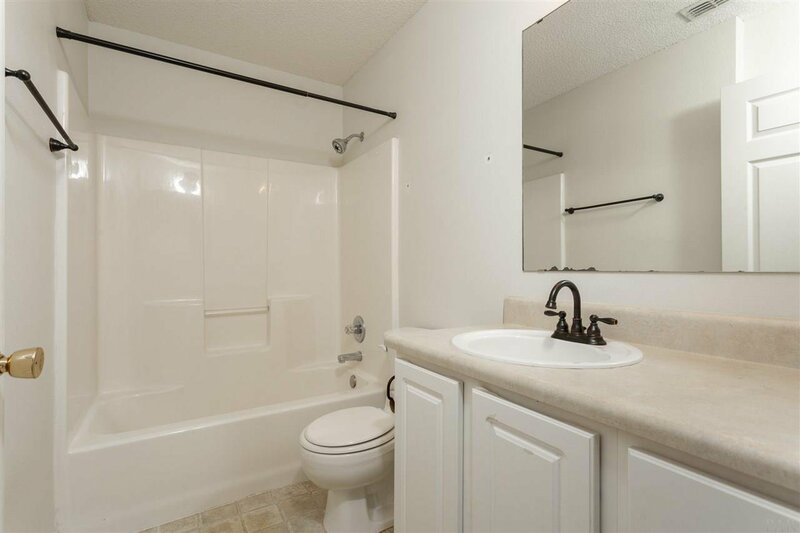 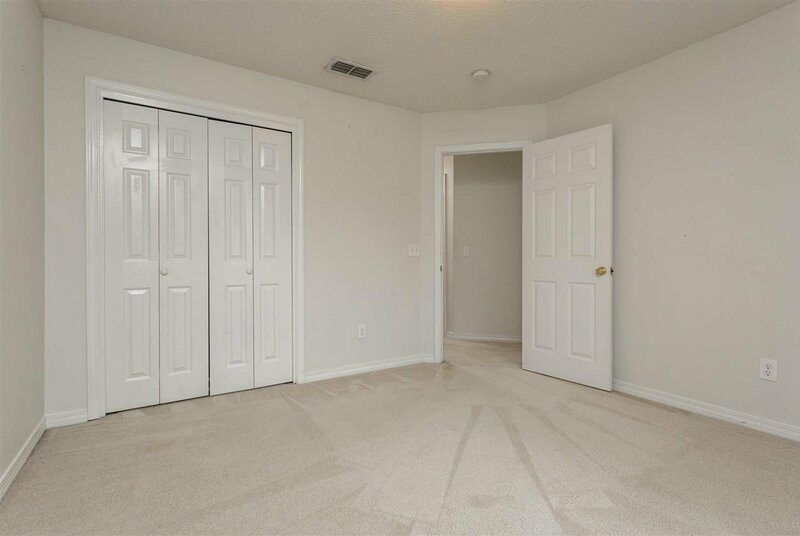 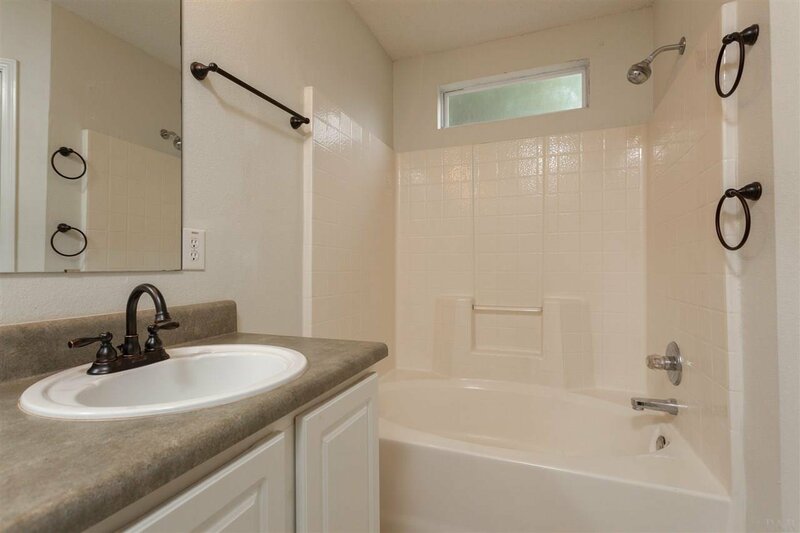 The two additional bedrooms are separated from the master by the main bathroom, and both have good sized closets. 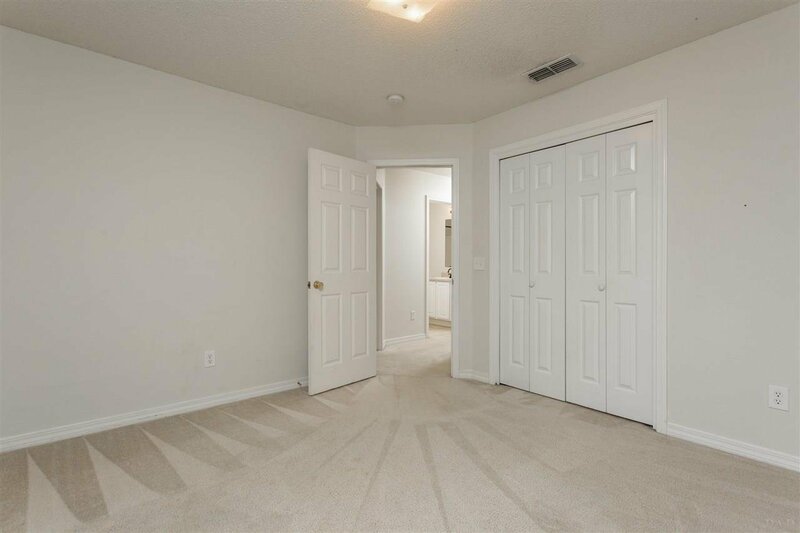 The master bedroom has a great ensuite bathroom with double vanities, a walk-in closet, soaker tub, and private water closet. 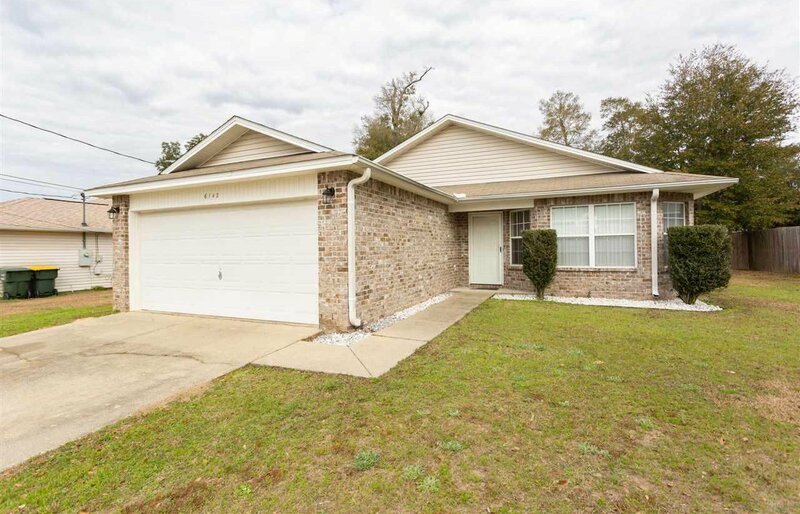 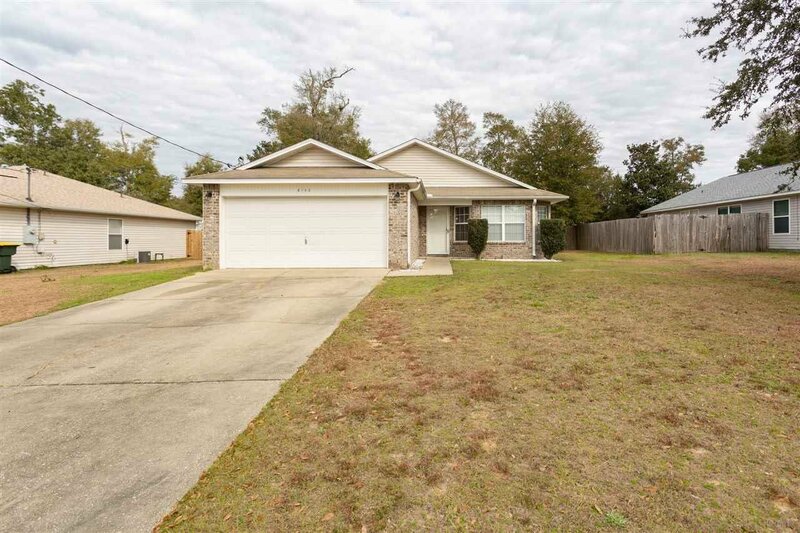 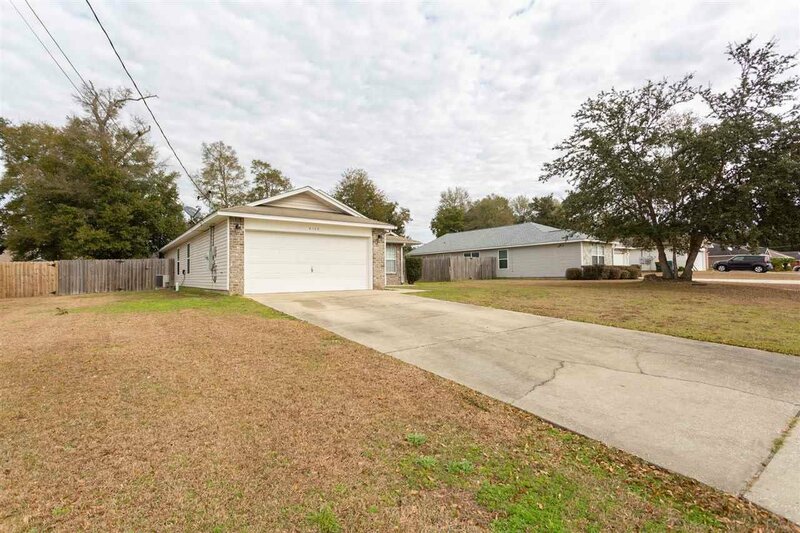 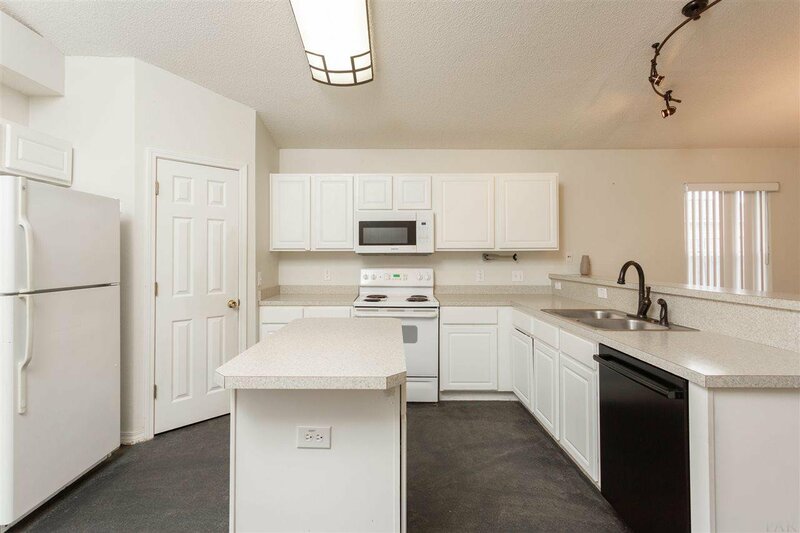 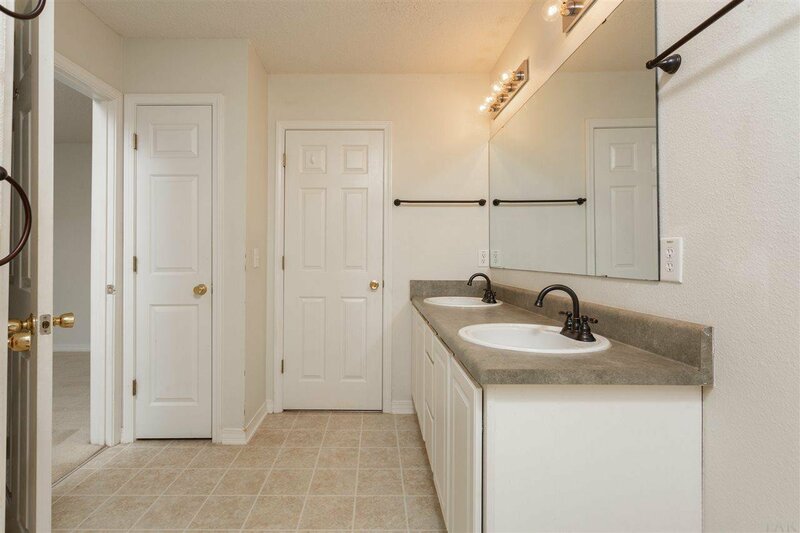 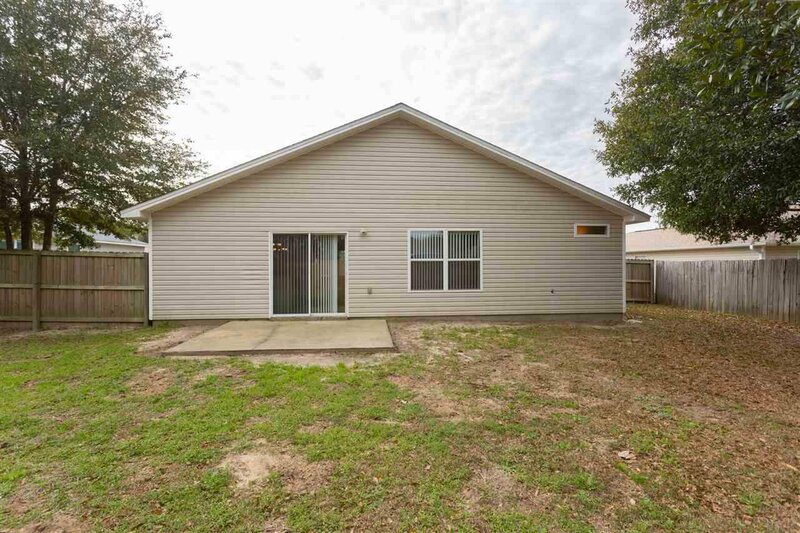 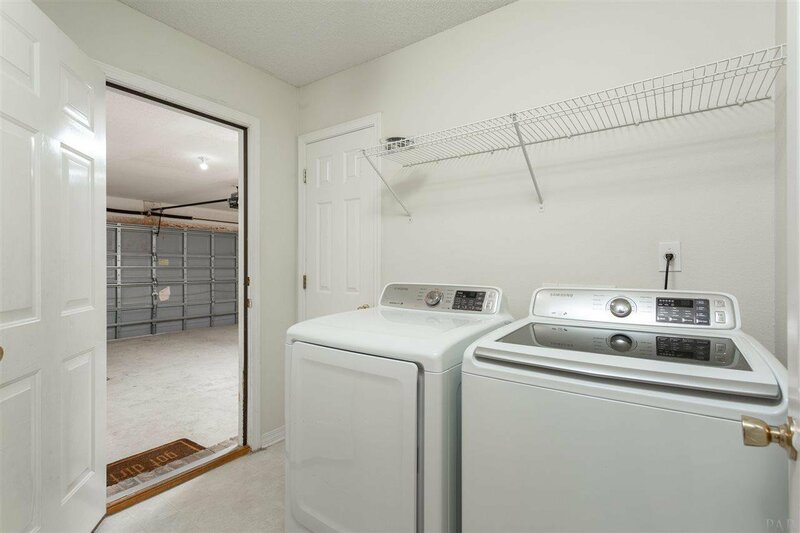 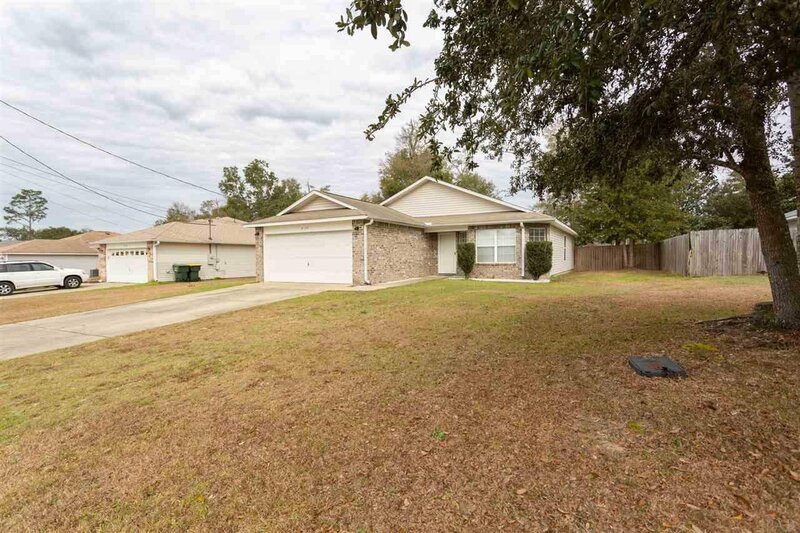 This home also includes a spacious laundry room with newer washer and dryer that connects to the 2 car garage. 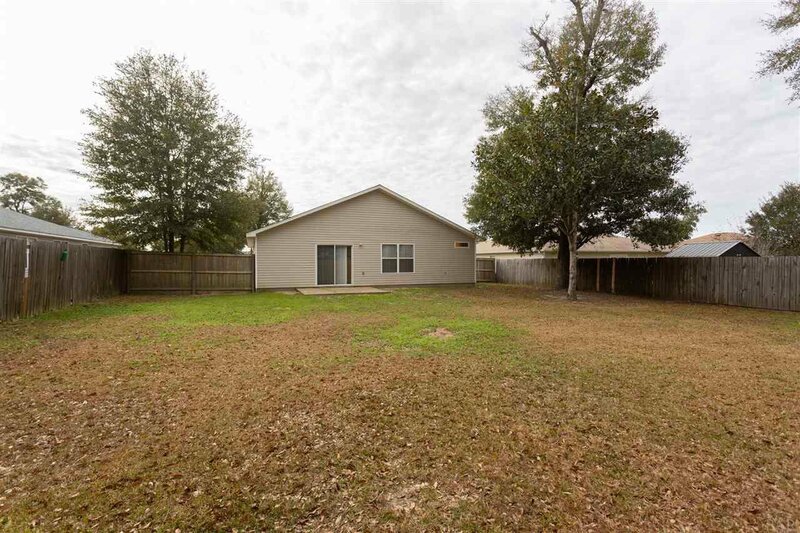 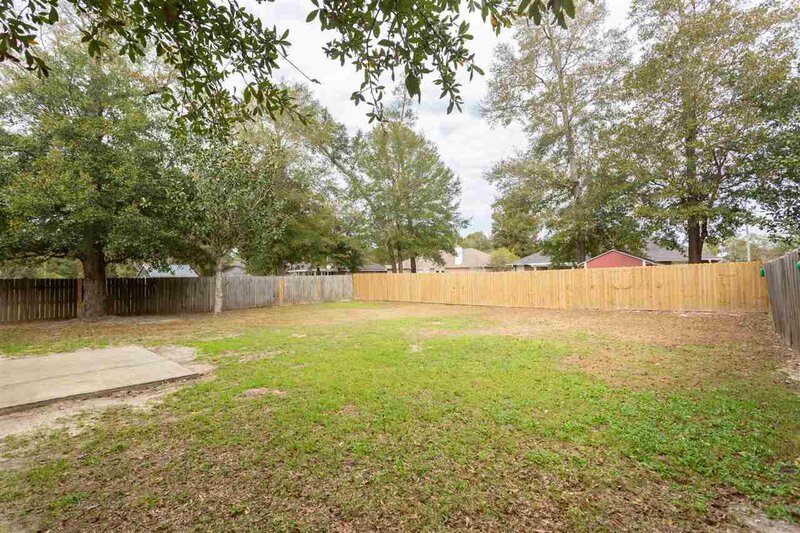 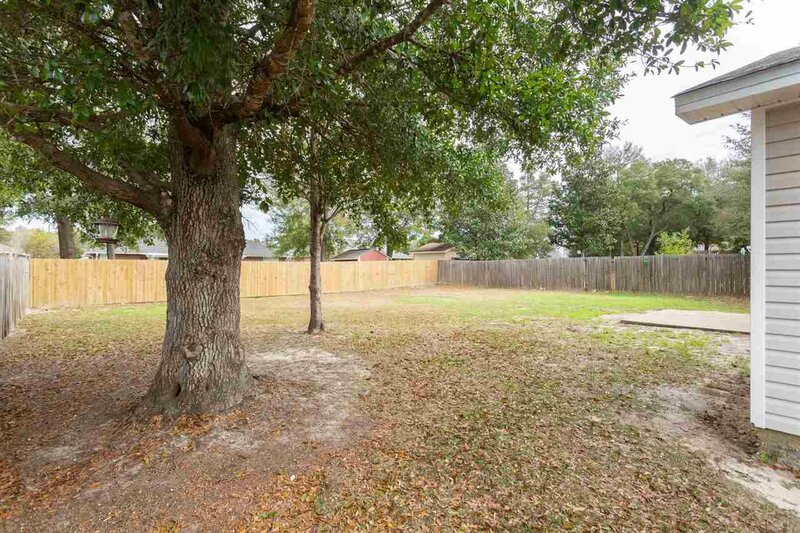 The back yard is fully privacy fenced and the patio is perfect for grilling!